Mount Maunganui weddings offer bride and grooms the best beaches in the Bay of Plenty to get married. This sunny and warm region of New Zealand offers plenty of scope for great eloping wedding packages, especially beach weddings. The Bay of Plenty is famous for it’s beautiful coastline. Clean surf and fantastic breaks all minutes from Mount Maunganui town centre. To add to the attraction, Mount Maunganui has excellent 5 star hotels, world class restaurants and is only 40 minutes from an international airport. Mount Maunganui weddings in New Zealand take advantage of the magnificent mountain (named Mauao in Maori) and the magical surf and blue waters of the Bay of Plenty. This area is surrounded with a multitude of marine life and off shore islands that shape this bustling area of New Zealand. The Bay of Plenty has plenty of wedding venue options we have excellent relationships with that benefit you. 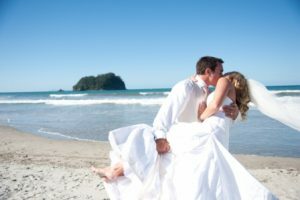 Why get married in Mount Maunganui? Only a few hours drive from the countries biggest city and largest of New Zealands airports, Mount Maunganui is easily accessible for the eloping couple. This area is a very popular destination with New Zealanders especially over the summer months. Many New Zealanders camp and holiday in Mount Maunganui each year and it is a top New Years Eve destination. It is also very popular with cruise ships and offers a lot of fascinating photo opportunities for weddings. 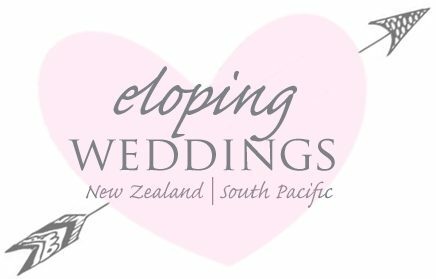 Eloping Weddings New Zealand will arrange your complete wedding day and save you money, leaving you more cash for a great little New Zealand holiday. Contact us for an information pack complete with prices on all our weddings. We have a variety of options to contact us for your convenience. We can also include and pre-book all your accommodation, activities and adventures before you leave home.